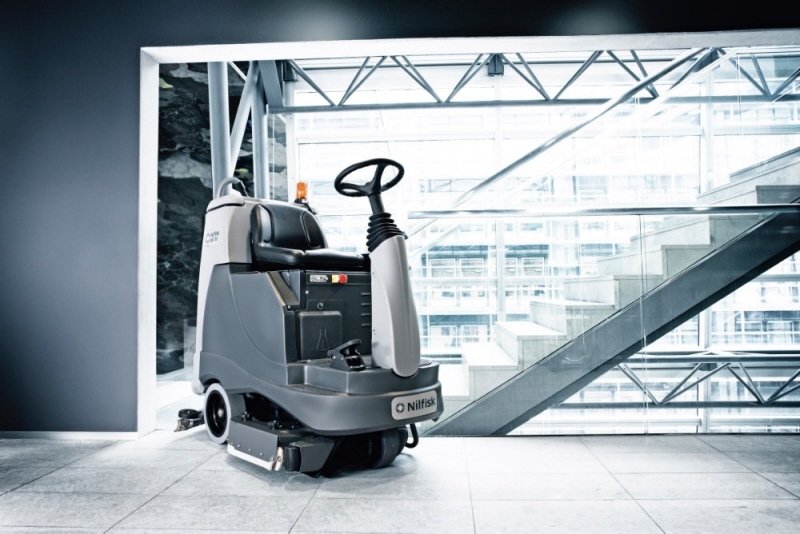 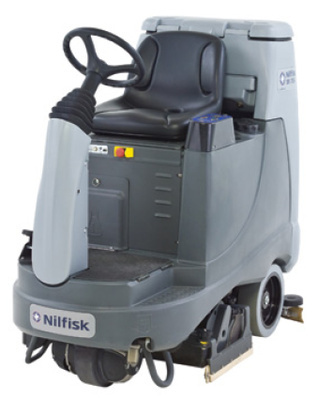 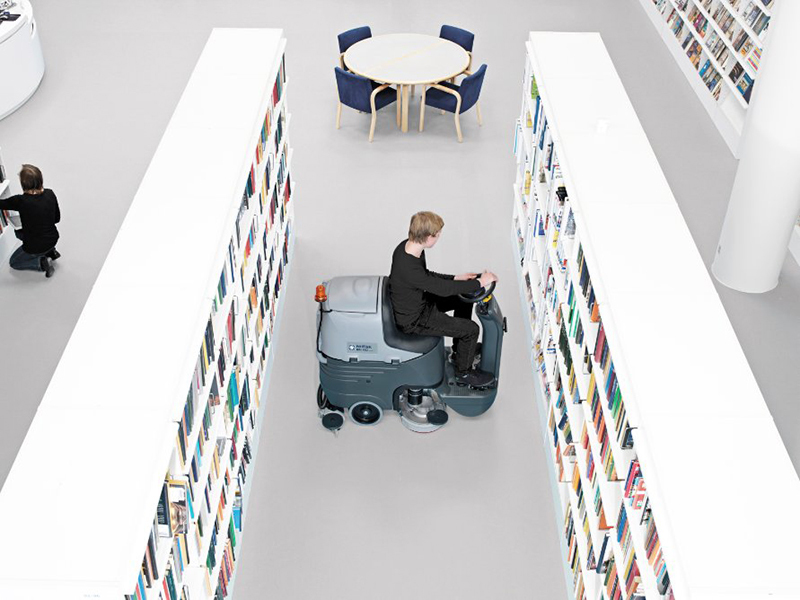 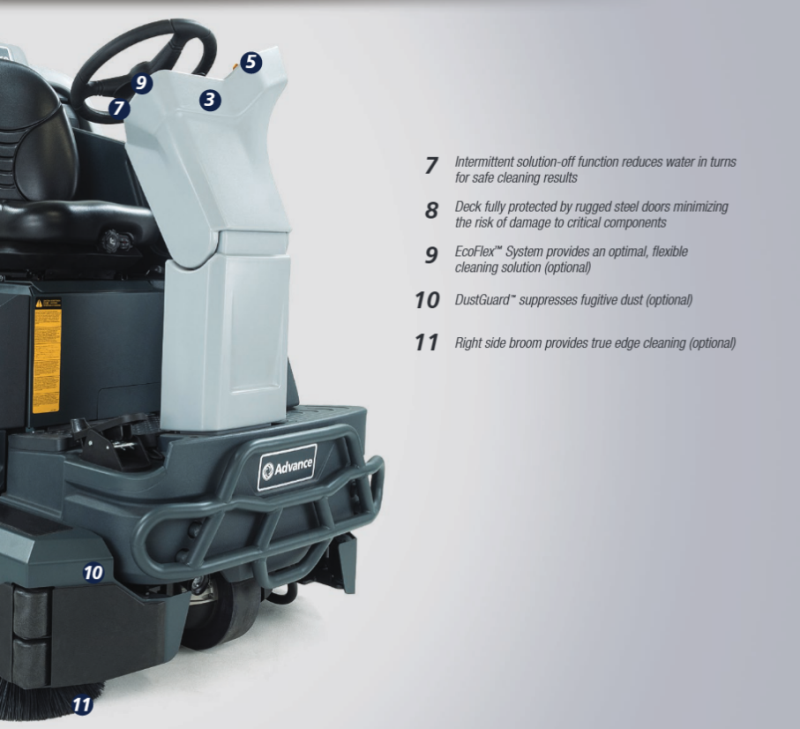 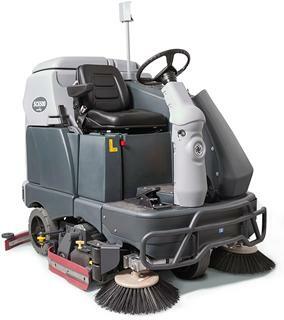 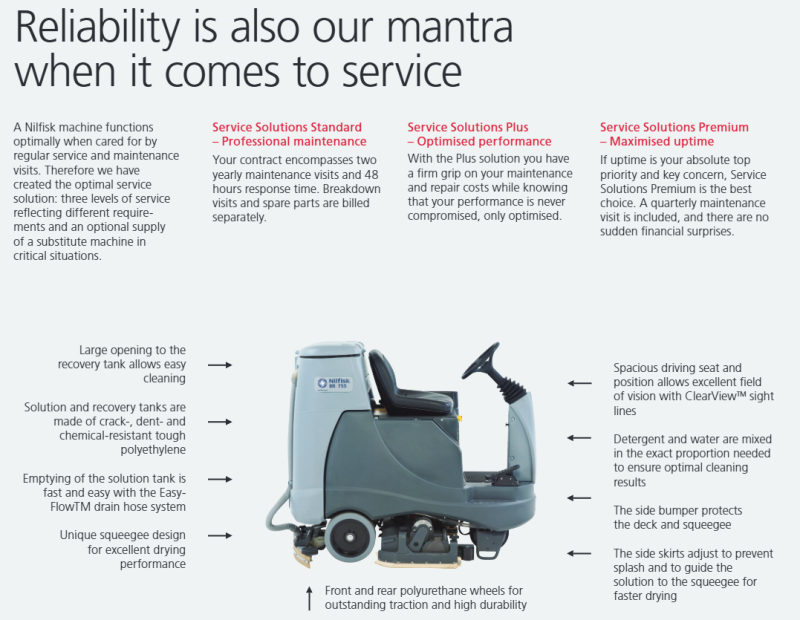 Nilfisk-Advance BR752 compact ride-on scrubber/dryers represent revolutionary new deck system, superb performance. This ride-on scrubber/dryer offers super low noise levels, ergonomics and a compact design that allows you to clean anywhere anytime. 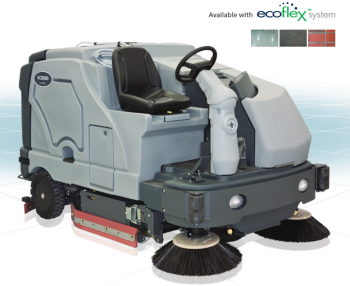 Nilfisk BR752 ride-on scrubber dryer has EcoflexTM green-cleaning system that controls the consumption of water, detergent and energy so effectively that real savings can be gained without compromising performance! 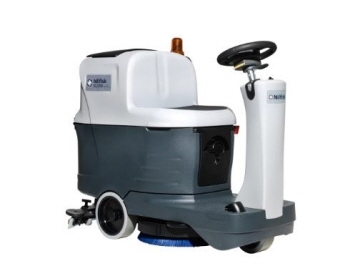 Nilfisk BR755 C Ride On Scrubber Dryer is user friendly, easy to operate scrubber/dryer which focuses on better ergonomics, better reliability and better cleaning. Its robust design is ideal for commercial and industrial cleaning such as supermarkets, shopping malls, schools, airports, hospitals, warehouses, food and iron&metal industry. 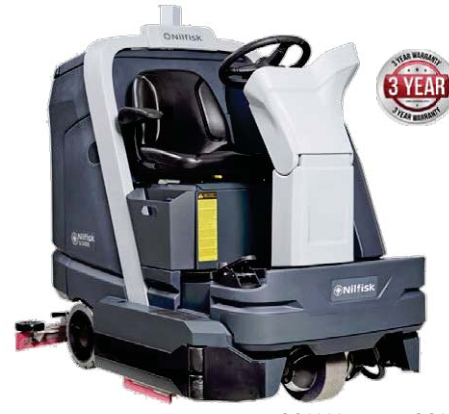 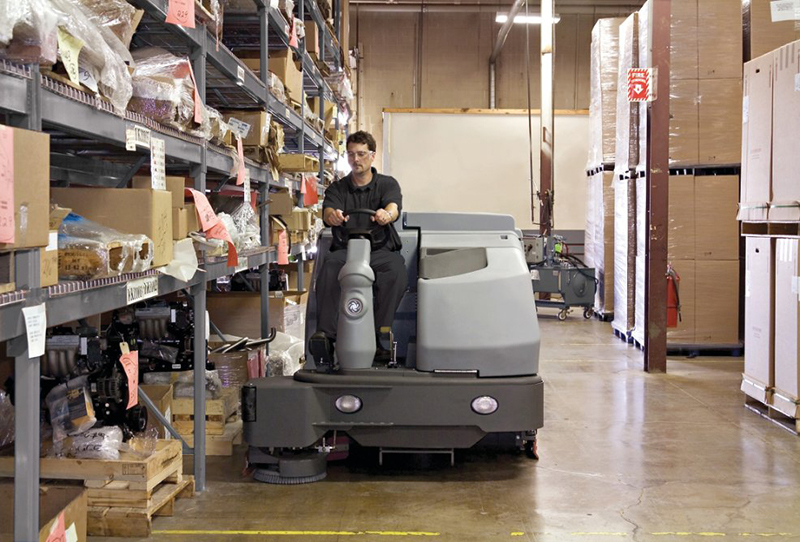 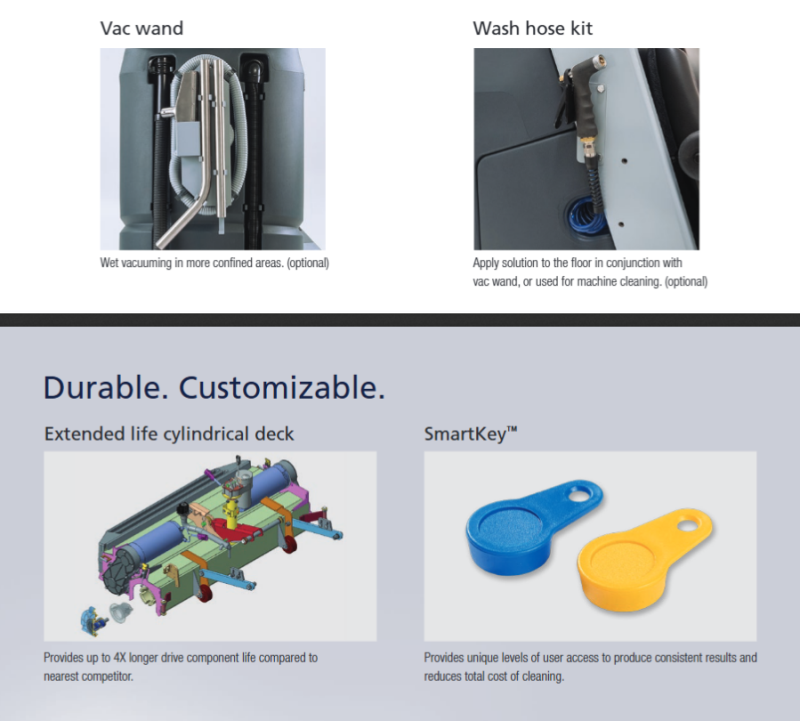 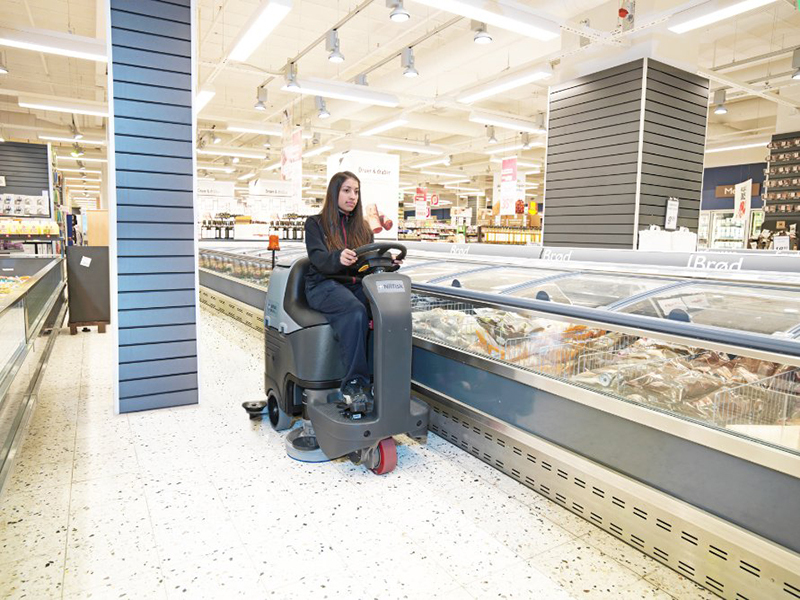 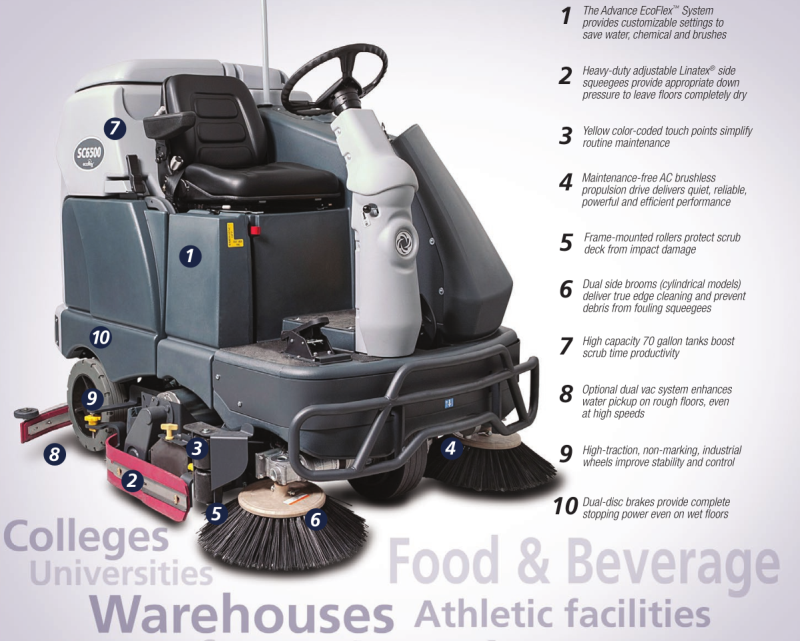 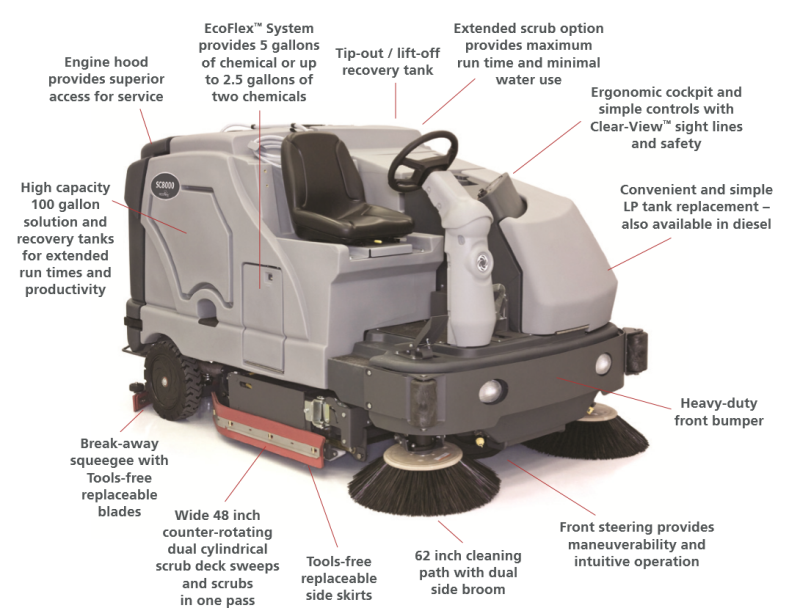 Nilfisk’s generation of ride-on scrubber dryers feature all that modern cleaning professionals demand, and more. 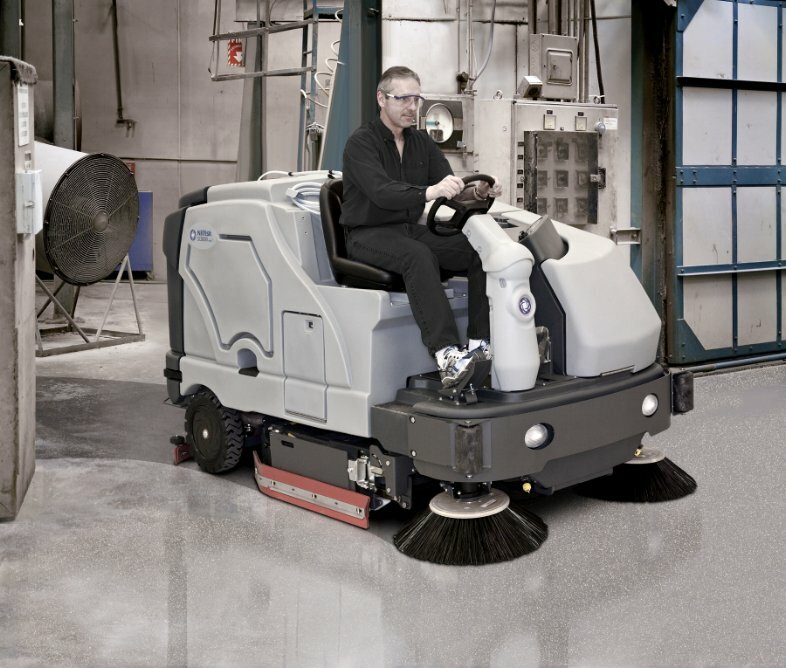 Better reliability, outstanding traction, a decibel level low enough to make daytime cleaning possible in even the most sensitive areas, and amazing efficiency in both scrubbing and drying performance. 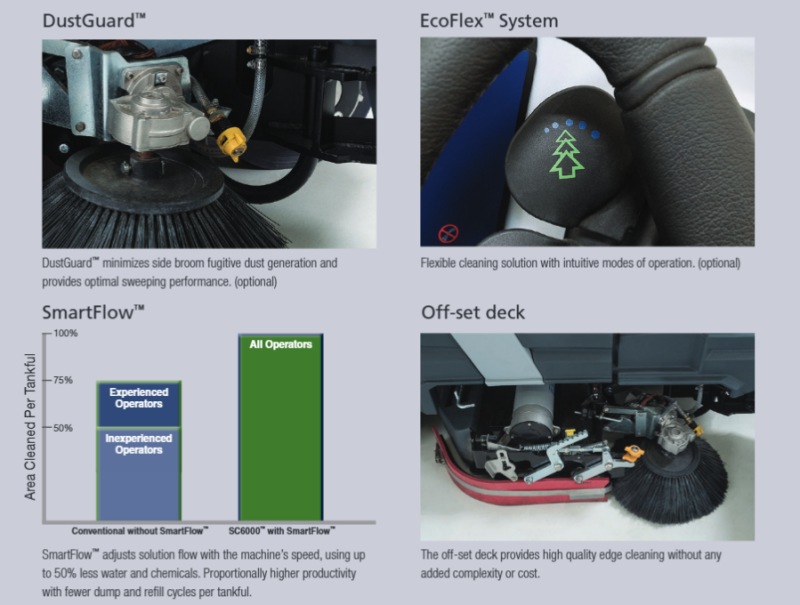 Added to which there are innovations such as the ecoflexTM concept, for easily adjust of amount of water, precise detergent metering and pressure to the surface. Nilfisk BR855 Ride on Scrubber/Dryer is a mid size rider scrubber with a focus on better performance, ergonomics and reliability. 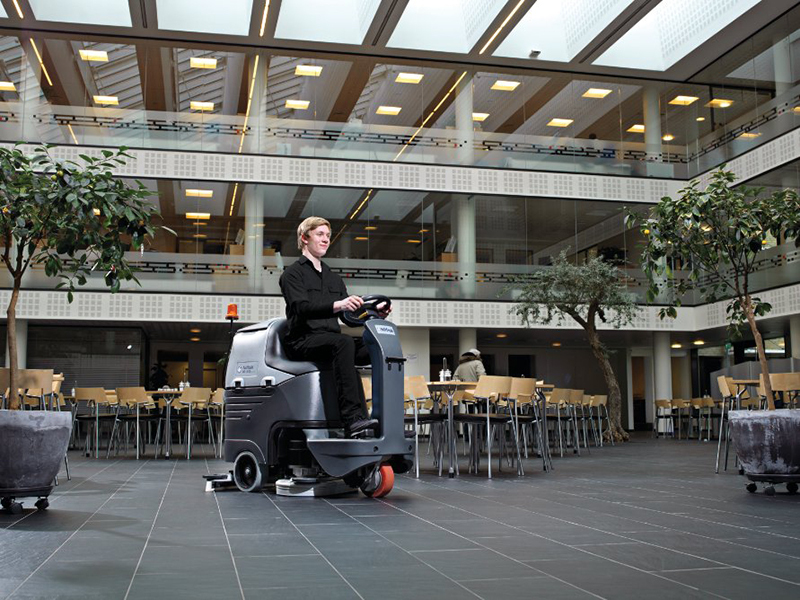 It is large enough to cover ground quickly whilst still compact in design. 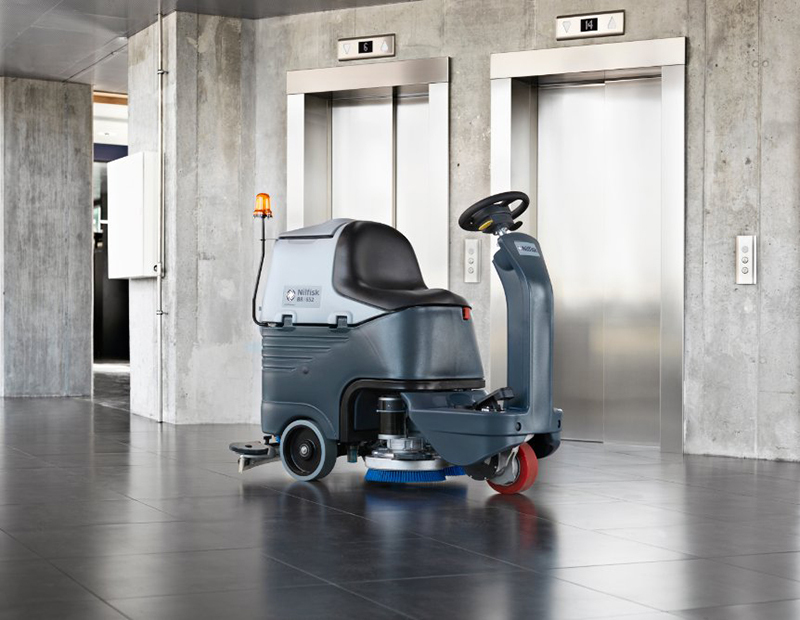 Nilfisk BR855 Ride on Scrubber/Dryer key features includes an extremely low sound level, making daytime cleaning possible in sensitive areas, outstanding traction for efficient double scrubbing tasks, and excellent drying efficiency. 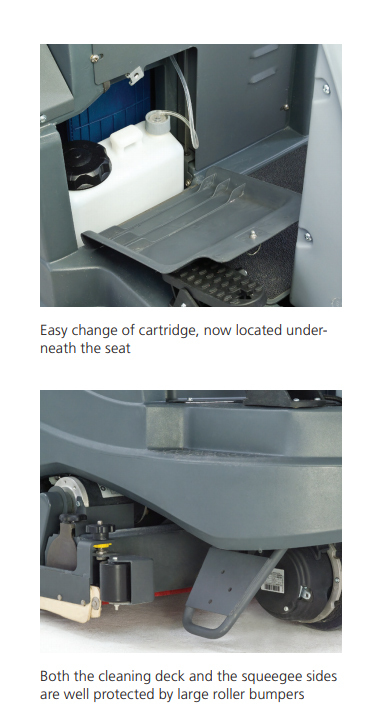 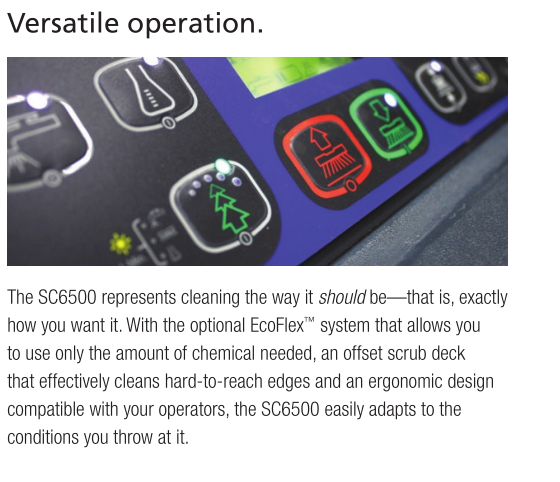 Its new innovative Ecoflex system keeps the consumption control, however, it also guarantees the possibility to boost temporarily water, detergent and brush pressure for more aggressive cleaning tasks; green meets clean. 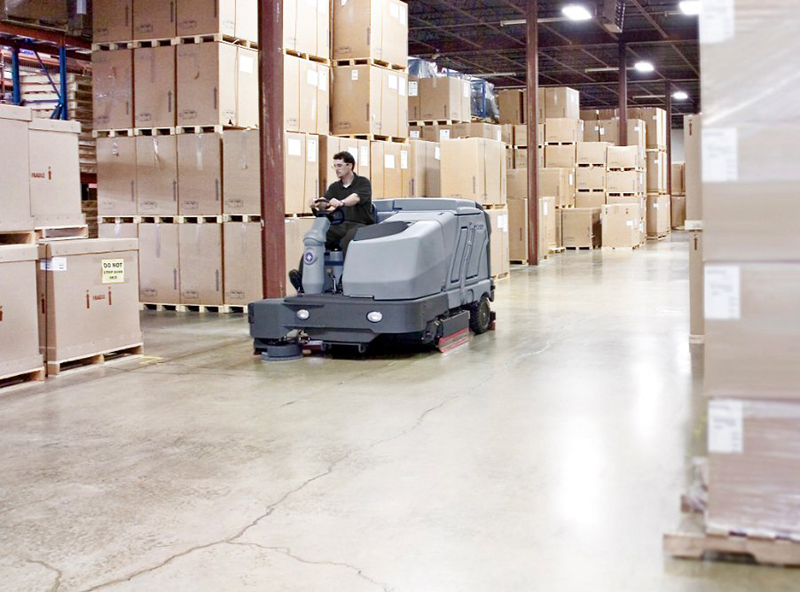 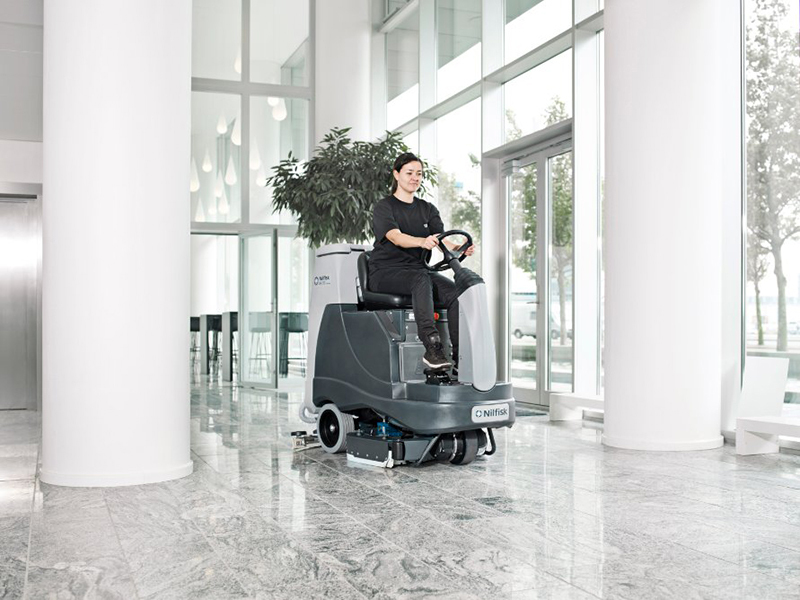 The Nilfisk SC2000 Micro Ride-on Scrubber Dryer eases the working effort significantly compared a walk-behind machine. 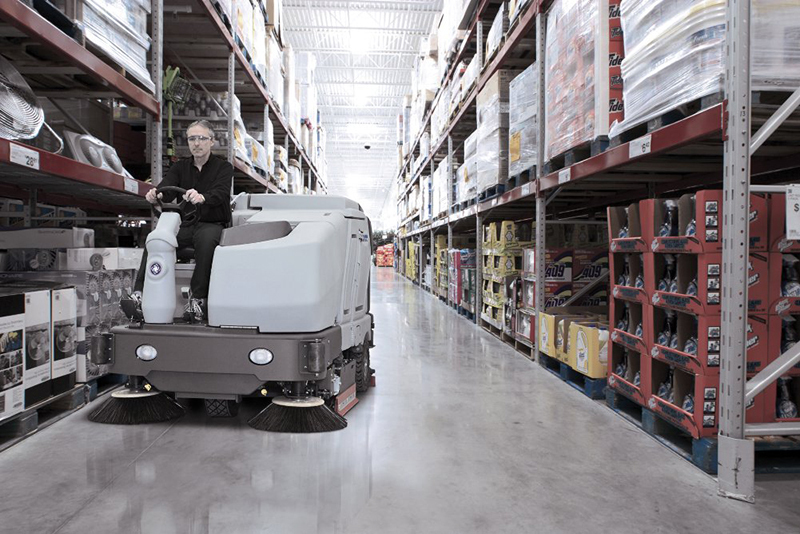 It is easy to maneuver even in narrow spaces due to its compact dimensions. 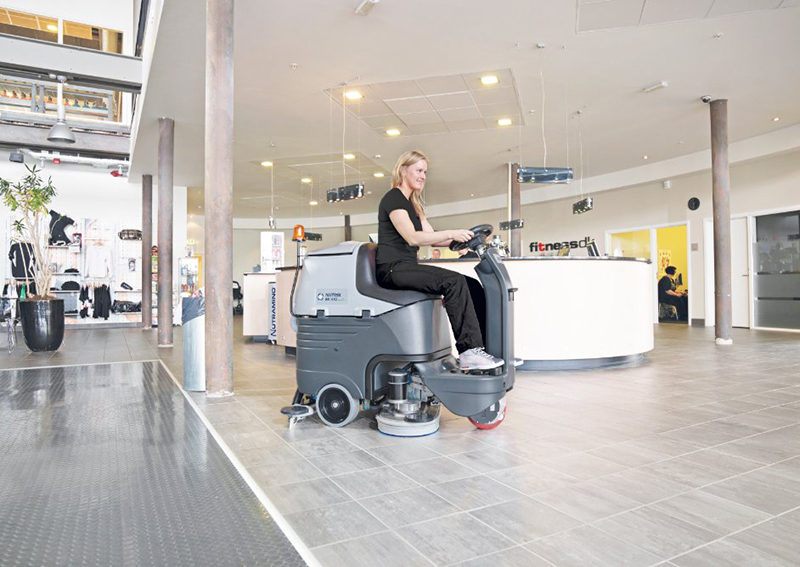 The Nilfisk SC2000 Micro Ride-on Scrubber Dryer is an attractive choice for cleaning of offices, supermarkets, sports centers, shops, restaurants, hotels, and institutions like hospitals and schools. 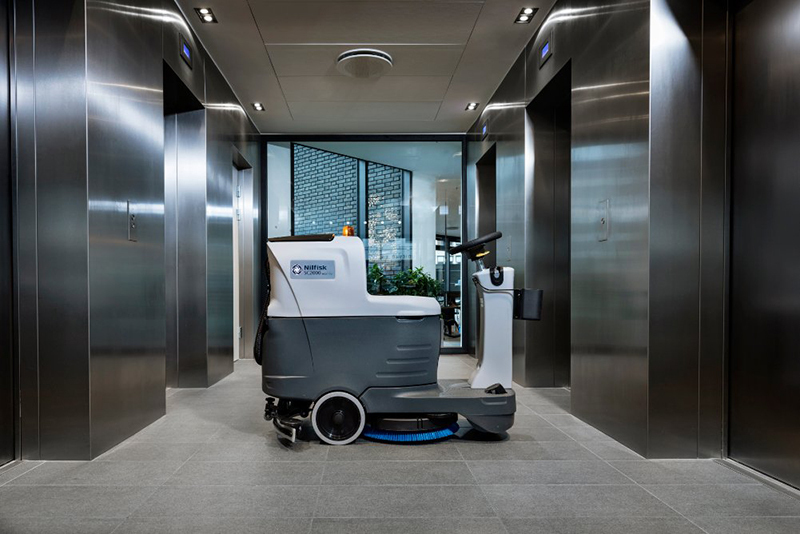 Thanks to its silent mode function for ultra-low sound level, you can use the machine for daytime cleaning, even in sound sensitive areas. 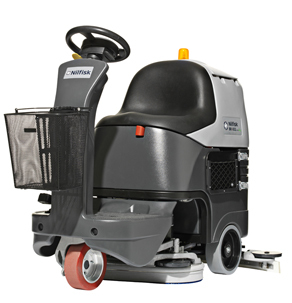 Nilfisk SC6000 Ride On Scrubber Dryer for efficient cleaning on large areas at a lower total cost. 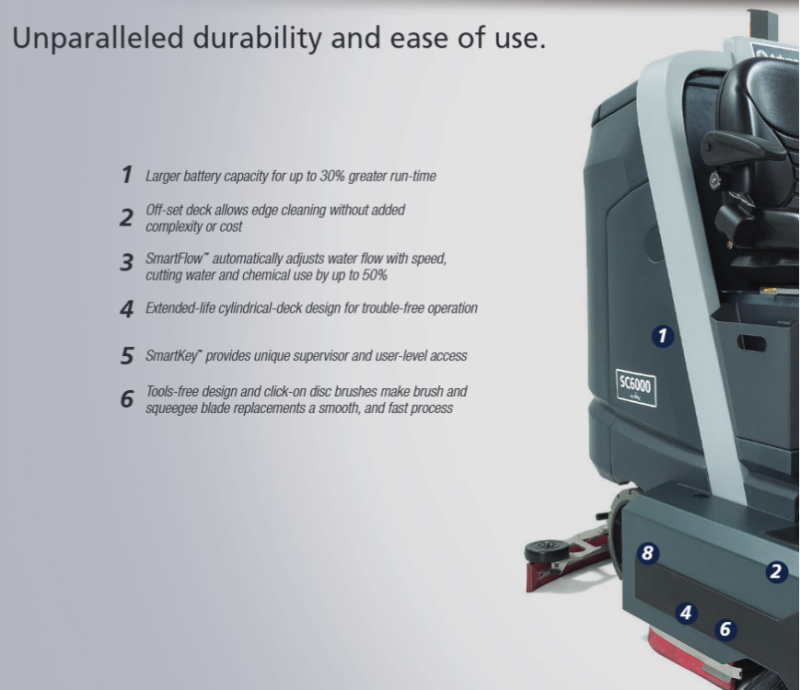 You can save both water and detergent with this user-friendly machine. 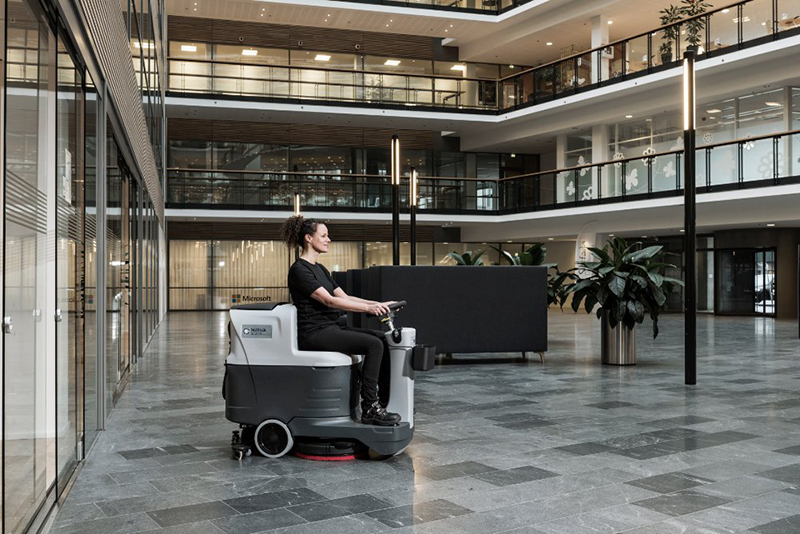 Nilfisk SC6000 Ride On Scrubber Dryer comes with the intelligent SmartFlowTM function automatically adjusting the solution flow according to the travel speed – and if you want to save more water, detergent, and power you can choose the optional EcoflexTM system. 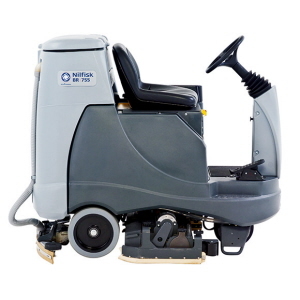 It is designed to deliver hours of superior cleaning and drying performance at a high speed. 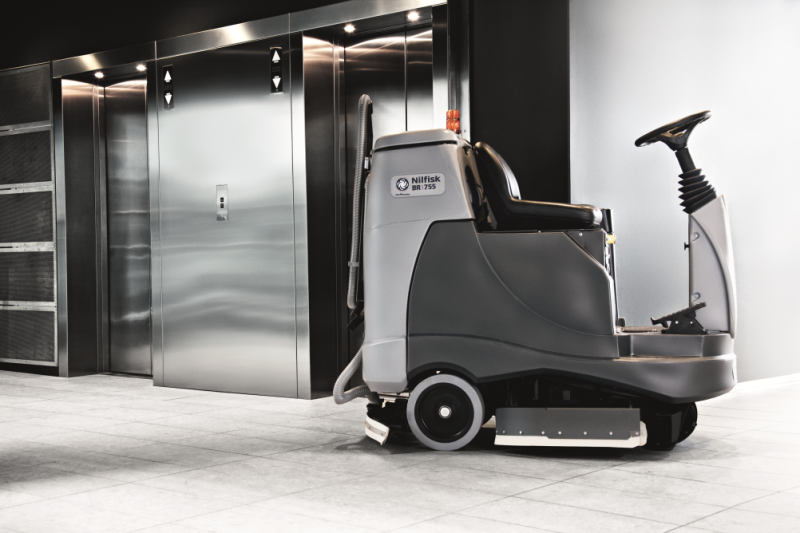 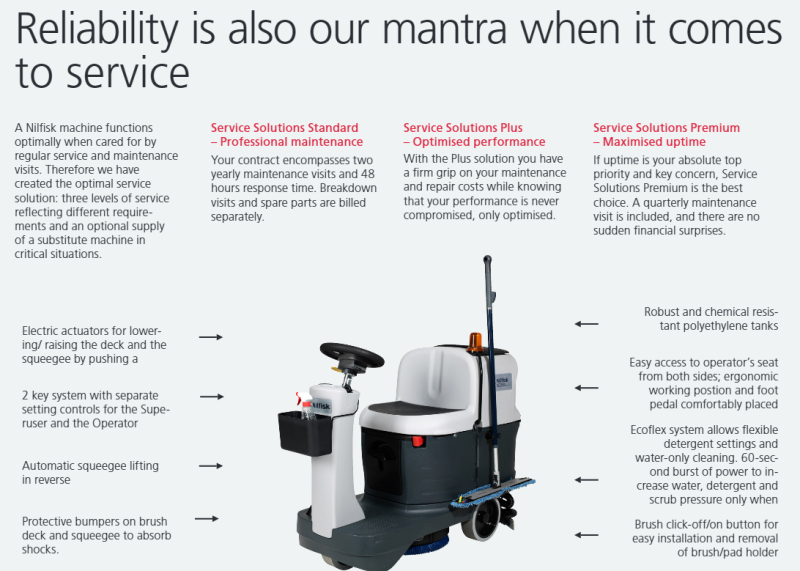 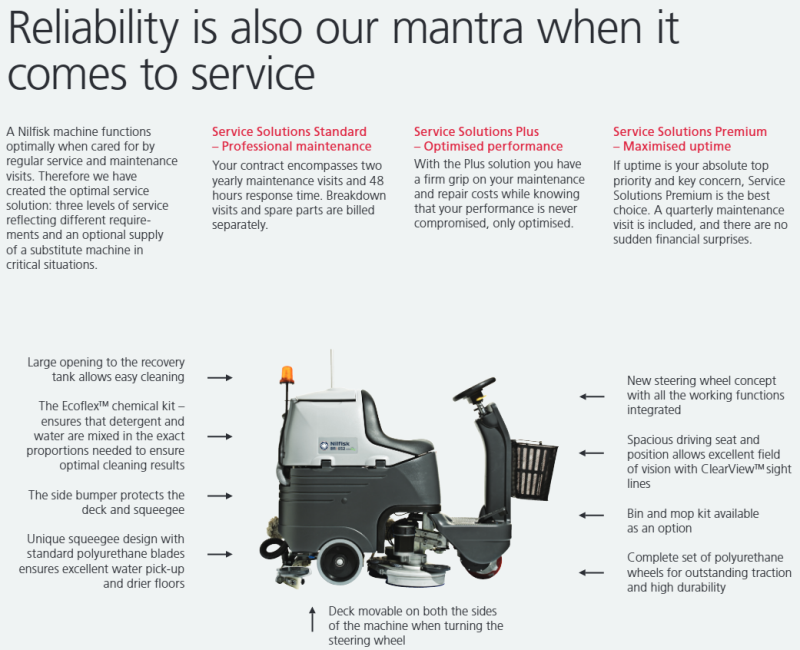 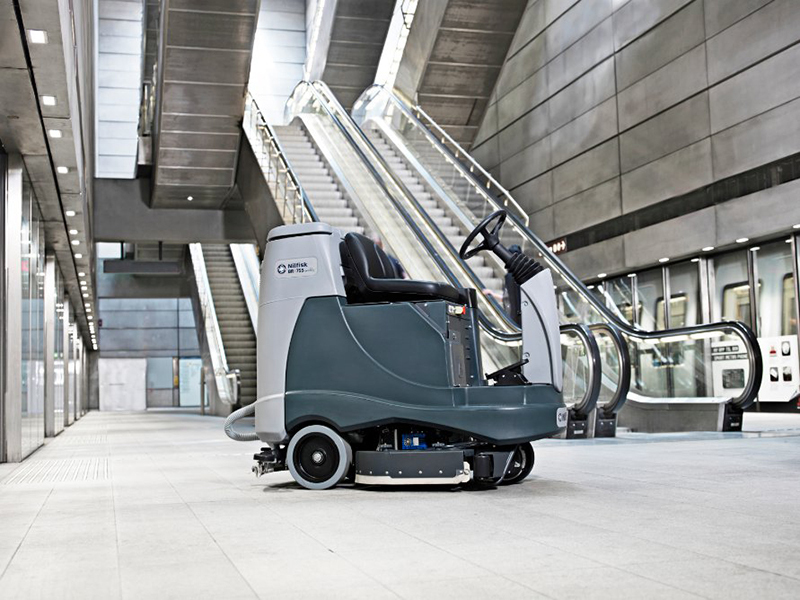 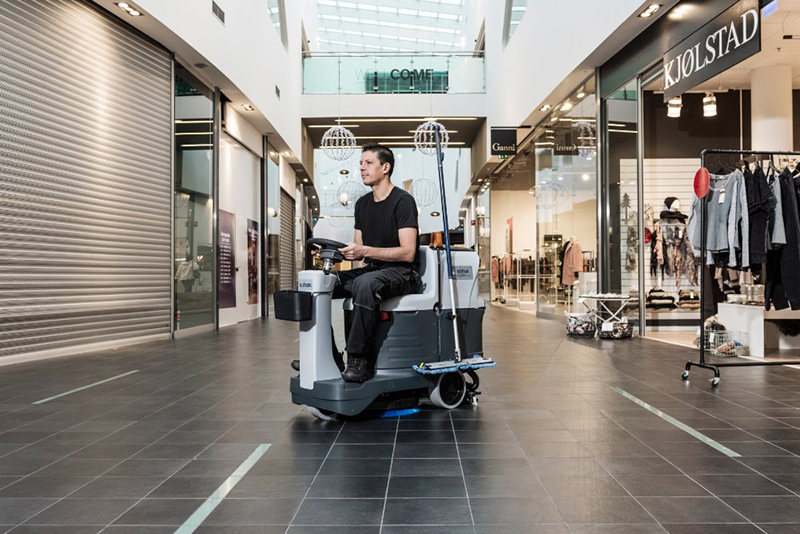 Robust and reliable, the battery powered SC6000 is built to last with limited need for service and maintenance, making it the right choice when you want efficient cleaning with an absolute minimum of downtime. 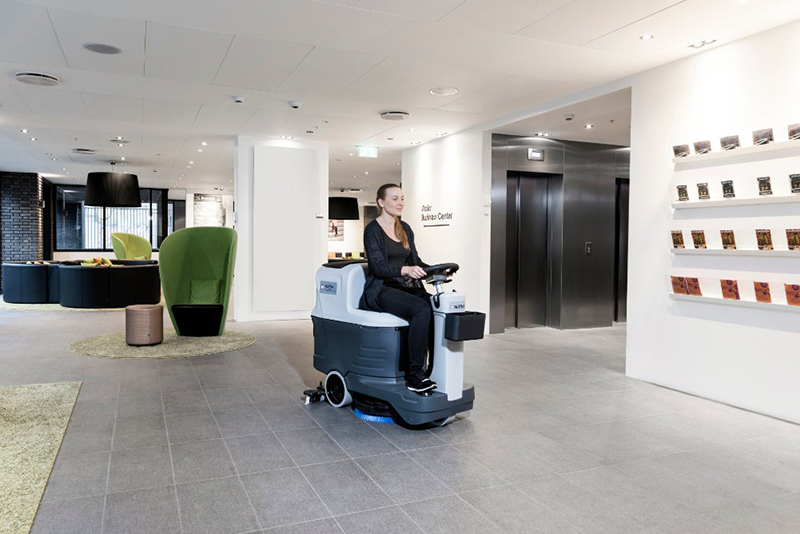 Nilfisk SC6500 Ride on Scrubber Dryer is easy to use with a combination of best in class cleaning performance and productivity. 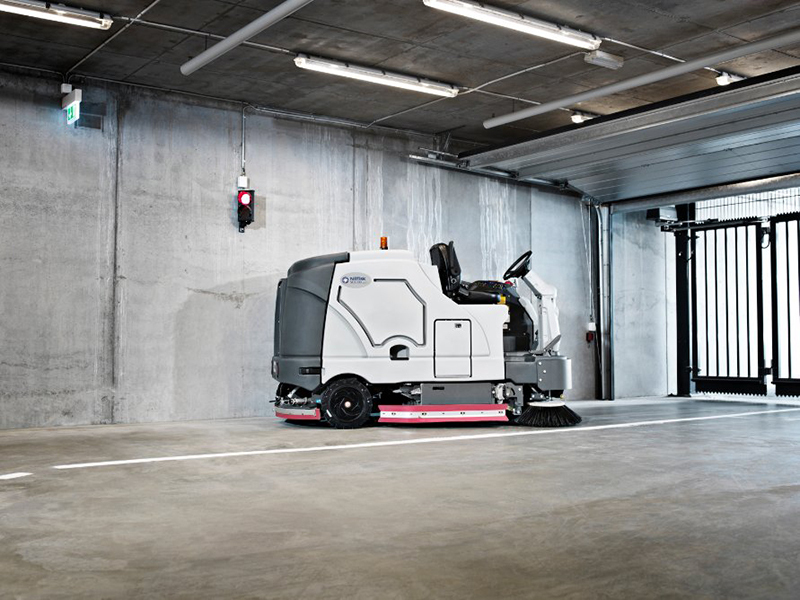 Nilfisk SC6500 is ideal for big supermarkets, warehouses, airports, parking areas, food industries and heavy industries. 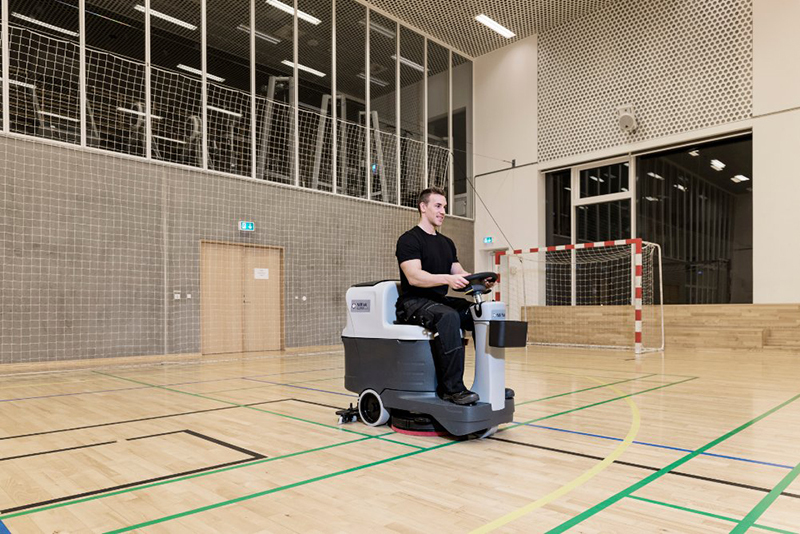 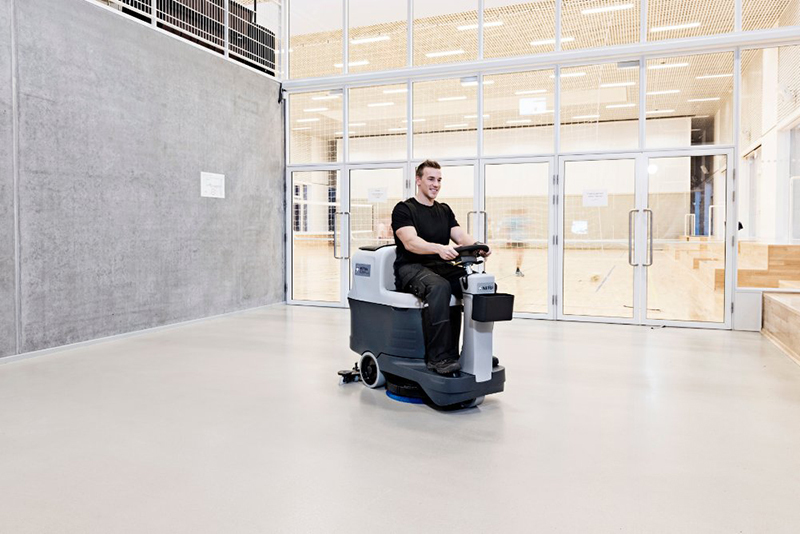 Nilfisk SC8000 Ride On Scrubber Dryer offers a more productive, powerful, safety, serviceable and greener solution for scrubbing and wet sweeping of large areas – carried out in the most resource-saving and cost-effective way. 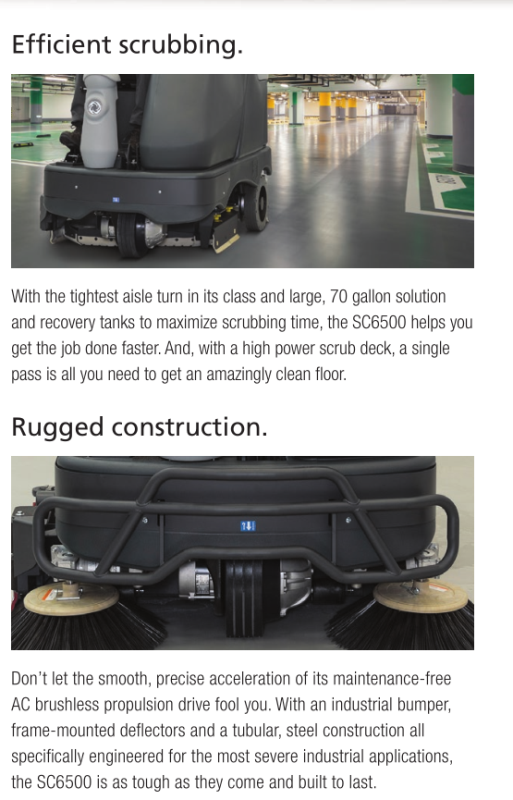 It is the ultimate high performance floor cleaner. 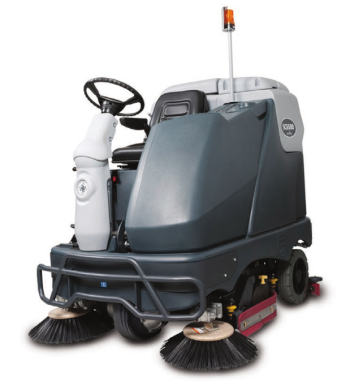 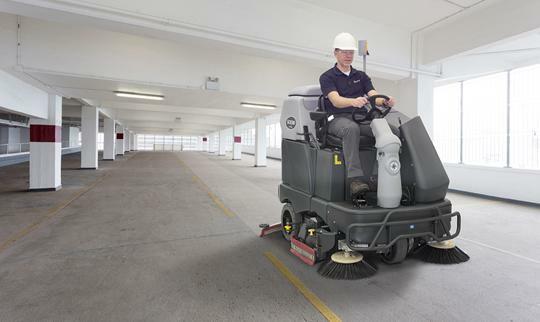 The high efficiency and productivity make Nilfisk SC8000 Rider Scrubber suited for cleaning contractors, manufacturers, warehouses, parking garages, distribution centers, bus terminals, aircraft hangars, government & national accounts.